Gone are the days of having to move off the sofa to change channel on your TV, we have the remote to thank for that, well if you too lazy to even use the remote to change channel, then you need one of these hands free universal remotes. 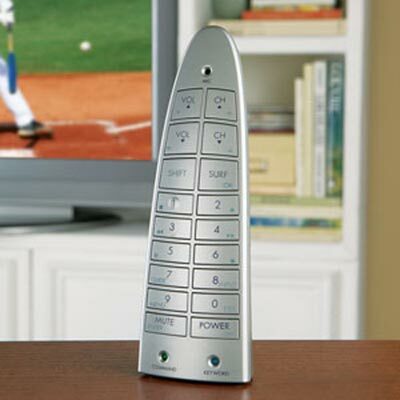 The Hands Free universal remote is voice activated, so all you have to do to change channel is shout at the remote. Once programmed it will recognise your voice, and it will work with virtually any device that can be controlled via a remote. The Hands Free Universal Remote is available to buy online for $39.95 from Brookstone.